As a mom and professional wedding photographer, my footwear choices are limited to whatever is the most comfortable. I am always looking for a pair that is comfy, compliments many outfits, and will last. 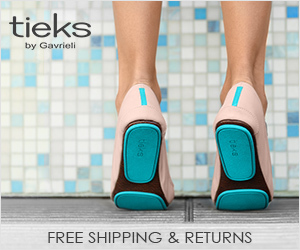 That's why I was so excited to discover Tieks by Gavrieli! They are perfect for chasing toddlers. They are perfect for running many errands, food shopping, and playgrounds. They are perfect for city strolls with a stroller. I first ordered a pair in my normal shoes size - a seven. I put them to the ultimate test of an all day wedding and ended up with some blisters on my heels. I was sad, because other than that they were super comfortable and perfect. So I let the wonderful people at Tieks know about my experience and they sent me one size up quickly to replace my size seven with an eight. I've worn these at another wedding and they were perfect! You can see me below at the mansion right before the reception, wearing this beautiful pair of metallic pewter Tieks. These are the perfect flats for a single professional in the city, for the urban or suburban mom, or even the retiree who has no interest in heels and wants a well-made pair of comfy flats that will last. Most of all of course I recommend these for other female photographers, you'll love them! Will they cause a case of sticker shock? Perhaps. They did for me. If you are buying them to wear for your business though, it's a great write off! I don't plan to wear them for anything other than wedding photography, they are my special "favorite job ever" shoes. Tieks enable me to photograph a wedding without having to think about how uncomfortable my shoes are, which of course makes it possible to focus on giving my client the best experience and to have some fun with them! I also love that the Gavrieli Foundation supports women entrepreneurs all over the world creating opportunities for them to support their families and communities. This is huge for me as an entrepreneur myself! 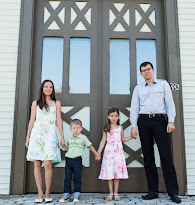 Starting a business in the U.S. was not easy, and it is even harder in many other countries. I love supporting companies that in turn support other female entrepreneurs like myself. Connect with Tieks on Facebook, Twitter, Pinterest, and Instagram!